We are a professional water contractor offering a variety of specialized services. A drilled water well is sometimes the only option for providing drinkable water at a residence. We are prepared to meet the large well needs in the Southeast. 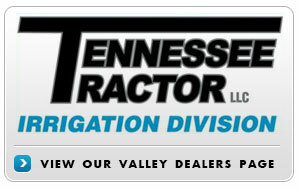 Water Well Solutions, LLC offers experienced and diversified drilling services throughout the greater Tennesse area. Water Well Solutions, LLC specializes in water well drilling operations; with experience in well construction, well maintenance and design of wells from 4” to 16” in diameter and depths up to 1000 feet. We have the capabilities necessary to drill in unconsolidated and consolidated formations. Water Well Solutions, LLC has successfully completed projects serving as Prime Contractor as well as Sub-Contractor. Our experience includes completing projects ranging in cost from $25,000.00 to $1 Million. All projects were completed without indication of complication. Water Well Solutions, LLC is licensed for drilling in Tennessee, Kentucky, and Mississippi.